Is Kt/V really the best way to measure dialysis adequacy? This morning's Renal Grand Rounds was an interesting talk given by Edmund Lowrie, a nephrologist currently employed by Fresenius Dialysis who has been studying measurements of dialysis adequacy for several decades. In his talk, he made the case that Kt/V is a highly flawed means of assessing dialysis adequacy. To summarize his argument, he showed that both the classic HEMO study as well as more recent large database-driven studies demonstrate that BOTH Kt and V are independent predictors of survival. Plotting Odds Ratios (OR) of dying on the y-axis against Kt on the x-axis shows that better Kt's are associated with better survival; similarly, patients who have larger "V"'s are also associated with better survival--excluding those who have excessively high V's, such as the morbidly obese. So why would we divide one independent predictor by another independent predictor in order to assess adequacy? When framed this way, it doesn't make sense. The speaker advocated an alternate approach: deriving optimal Kt's for individual ranges of V using existing mortality data (actually, he advocates using body surface area rather than volume of distribution just because it is so easy to measure). He also points out something that many of us have figured out with clinical practice: smaller, more petite patients can easily achieve the existing Kt/V goals, but that doesn't necessarily mean that they are adequately dialyzed. Currently the Kt/V is so universally adopted by the dialysis community, however, so it doesn't appear that this is going to change anytime soon. This week's Lancet has an interesting article from The Indian Polycap Study (TIPS), in which investigators tested the efficacy and tolerability of a single pill containing up to FIVE different cardiovascular medications: a beta-blocker, an ACE-inhibitor, a thiazide diuretic, a statin, and aspirin--with the hopes that this single "one-size-fits-all" pill could one day be used to dramatically cut down the rate of cardiovascular disease in the general population. More specifically, the group used lower-than-conventional doses of the following medications: atenolol (50mg), ramipril (5mg), thiazide (25mg), simvastatin (20mg), and aspirin (100mg) in a once-a-day pill. This was considered a primary prevention trial, so none of the individuals already had cardiovascular disease; in addition, they excluded patients with CKD, severe hypertension (>160/100), or severe hyperlipidemia (LDL>175). The target group to be tested were relatively healthy individuals with a single cardiovascular risk factor. People were randomized to one of several groups including the full five-drug "Polypill" compared with a pill containing 1, 2, 3, or 4 of the above drugs in combination. 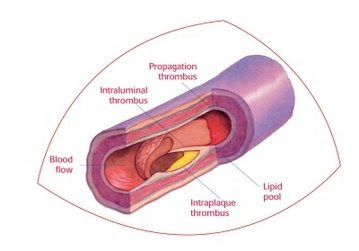 The primary outcomes were LDL level, blood pressure level, heart rate, degree of antiplatelet effect, and rates of discontinuity of drugs for safety. The investigators found (perhaps not surprisingly) that using all three blood pressure drugs at the same time (atenolol, ramipril, and HCTZ) were associated with the best BP-lowering effect. They also showed (perhaps more surprisingly) that the Polypill containing all five medications did not show an increase in safety/side effect profile, and the authors conclude that giving a "Polypill" such as this represents a viable strategy for primary prevention of heart disease. What do we think about this? On the one hand, it could be good news--it's often difficult to convince patients to take so many different pills, and putting them all together potentially gets around this. However, there are some potential negative consequences--it is not uncommon to have to take patients off their ACE-inhibitor for brief periods of time, and having a patient on the Polypill would make this more of a hassle for both patient and physician. It is also not clear what the cost of the medication would be--most of the medications above are available in the generic (cheap) form, but if a drug company puts them together in a single pill, it is possible they could charge whatever they wanted. Despite these potentially negative consequences, it's an interesting idea. Perhaps one day we will even be able to "custom-make" a single pill combining all of the drugs an individual patient requires into a single pill. Pendred Syndrome is an autosomal recessive disorder caused by mutations in the solute carrier family 26 member 4 gene (SLC26A4) which has some relevance to nephrology and acid-base metabolism. Its main phenotypic manifestations are thyroid goiter and sensorineural deafness. Where does the nephrology come in? It does not appear that these individuals have acid-base problems at baseline, but there are reports of their developing a severe hypokalemic metabolic alkalosis when treated with thiazide diuretics. I'll explain. The SLC26A4 gene product encodes an ion transporter which enables (1) iodine ion transport (hence the goiter) and (2) chloride-bicarbonate exchange. 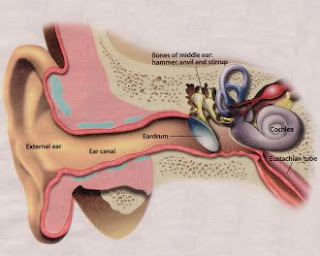 In the inner ear, impaired bicarbonate secretion leads to acidification of the endolymph and damage to the underlying hair cells, hence the deafness. In the kidney, the SLC26A4 gene product is expressed in beta-intercalated cells of the collecting duct. Recall that the collecting duct has two flavors of intercalated cells: the alpha-intercalated cells (which secrete protons) and the beta-intercalated cells (which secrete bicarbonate). 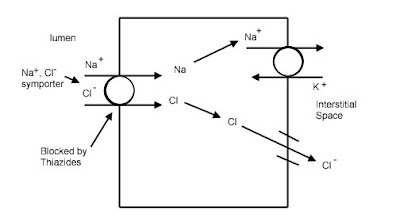 A decreased ability to secrete bicarbonate, coupled with reduced NaCl reabsorption from thiazide diuretics, could therefore explain the metabolic alkalosis seen in Pendred Syndrome patients. Have I ever seen a case? Not that I can think of, though I wouldn't necessarily know as I mentioned before that individuals don't typically get metabolic alkalosis unless treated with diuretic. It's uncommon but not that uncommon, as many sources cite Pendred Syndrome as accounting for up to 10% of heritable deafness. I didn't learn this until recently, but some commonly used oral contraceptives--for example Yasmin-28 (the progestin-derivative drospirenone + ethinyl estradiol)--has some mineralocorticoid blocking effect, similar to that seen for spironolactone. It may therefore be associated with hyperkalemia, particularly in patients already on medications that predispose to higher serum K's. The package insert actually recommends monitoring K levels during the first month in patients receiving Yasmin who are also on ACE-I/ARBs, K-sparing diuretics, NSAIDs, or K-supplements, but this recommendation may be overlooked. ...you can expect to live for 3 minutes without air. ...you can expect to live for 3 hours without shelter (in an extreme condition like Antarctica for example). ...you can expect to live for 3 days without water. ...you can expect to live for 3 weeks without food. Obviously these are only rough estimates (and I don't encourage you to find out whether or not you can beat these various marks) and there is a wide variability between human beings. 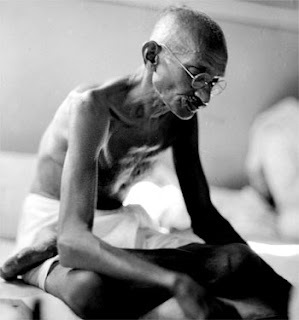 Gandhi was able to fast for 3 weeks while already in his 70s. One member of the Irish Republican Army, Thomas McElwee, successfully survived for 73 days during a hunger strike. The infamous case of Terry Schiavo in 2005 ended with her death about 2 weeks following the court-ordered removal of her feeding tube. Not surprisingly, one can last a lot longer without food than without water, a testament to (a) how much water one loses with just the normal processes of breathing and sweating, and (b) the potentially lethal complications of hypernatremia and the importance of maintaining appropriate water concentration. 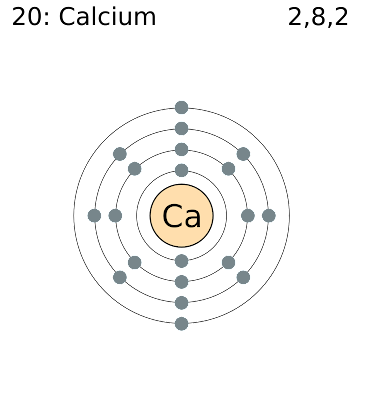 Calcium is a critical ion for a number of cellular signaling events. As such, it is not surprising that hypocalcemia leads to a wide variety of signs and symptoms. The dominant presentation of hypocalcemia is usually neurologic in origin. Individuals with profound hypocalcemia will present with lethargy and altered mental status, and may even present with seizures. More commonly individuals with hypocalcemia will present with numbness or tingling in the perioral and distal fingers and toes which over time will progress to carpopedal spasm, or tetany. Two named tests of the physical exam--Chvostek's sign & Trousseau's sign--are used to detect neurologic effects of hypocalcemia. In Chvostek's sign, tapping the area over the facial nerve causes an ipsilateral contraction of the facial muscles. While suggestive of hypocalcemia, it can apparently be found in up to 10% of the general population however. In Trousseau's sign, a blood pressure cuff is inflated to slightly above the systolic blood pressure and maintained for over 3 minutes (ouch!). In the presence of hypocalcemia this can lead to carpal spasm and involuntary wrist flexion. In addition to these neurologic signs & symptoms, hypocalcemia can also have effects on the pulmonary system (wheezing secondary to bronchospasm), cardiovascular system (hypocalcemia is associated with a shortened QTc interval and arrhythmias), and dermatologic findings (chronic hypocalcemia can result in dry skin, brittle nails, and petechiae). More on MYH9 and "HTN-Associated ESRD"
What's the most common cause of ESRD in the U.S. after diabetes? The classic answer here is "hypertension", though this answer is a controversial one, as there are many who believe that hypertension alone is not sufficient to cause the degree of renal disease seen in ESRD. Certainly, there are many, many individuals with elevated blood pressures who never go on to develop CKD, suggesting that hypertension alone cannot explain everything. A potential alternative explanation for individuals with "hypertension-induced ESRD" comes from polymorphisms in the MYH9 gene, according to a Kidney International article by Freedman et al. Polymorphisms in MYH9, which I have written about in another post, have recently been shown to be associated with an increased risk of FSGS and HIVAN in African-American patients. In the paper mentioned above, the authors tested for several known polymorphisms of the MYH9 gene in nearly 700 African-American dialysis patients given the diagnosis of "hypertension-associated ESRD." Interestingly, they found a strong association between ESRD and certain SNPs--with impressive odds ratios (OR) of up to 3.4. The MYH9 gene product, myosin-IIA, is expressed in podocytes and is known to play a role in organization of the cytoskeleton. Thus, it is postulated that partial loss-of-function provided by various polymorphisms could cause subtle abnormalities in podocyte foot process and slit diaphragm organization. These findings furthermore imply that perhaps the entity we call "hypertension-associated ESRD" is in fact a defect in podocytes similar to FSGS. It will be interesting to see how this story plays out and whether or not immunosuppressive therapies we find useful in the management of FSGS might also be useful for treatment of hypertension-associated ESRD. It's obviously too early to suggest that this be attempted, but these studies provide a new framework with which to think about a substantial subset of ESRD patients. First Phase: due to ischemia or direct trauma to the vasopressin-secreting neurons of the hypothalamus, there is an initial polyuric phase that lasts for about 4-5 days in which there is a fall in urine osmalality and, if the patient loses too much free water, hypernatremia ensues. 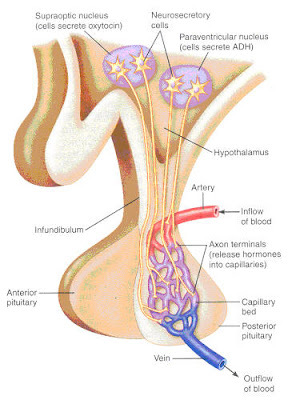 Second Phase: in the second phase, there is a transient SIADH occurring as a result of leakage of vasopressin from damaged posterior pituitary tissue and severed axons. This typically occurs around days 5-6 post-event and the tendency to hyponatremia may be exacerbated by the administration of free water given in response to the First Phase. Third Phase: after all the ADH from damaged neurons has leaked out, individuals may or may not enter the third phase, a chronic diabetes insipidus. This does not happen in all individuals as over 80-90% death of all vasopressin-secreting neurons must be destroyed in order for central D.I. to occur. 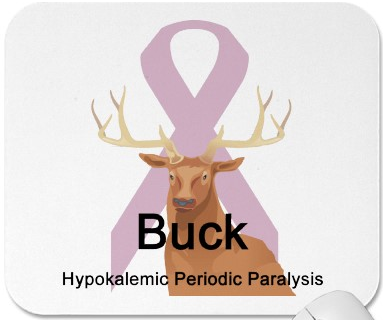 Hypokalemic periodic paralysis is a relatively rare disease in which individuals experience transient, severe episodes of hypokalemia as a result of rapid intracellular potassium shift into skeletal muscle. The attacks typically manifest as muscle cramps, muscle paralysis, or cardiac arrhythmias, and may are classically precipitated by rest following exercise, catecholamine excess, or carbohydrate-rich meals. The acquired form in most instances is associated with thyrotoxicosis. Even though more women than men suffer from hyperthyroidism, there is a huge male predominance (up to a 70:1 M:F ratio) of hyperthyroid-induced hypokalemic periodic paralysis. The disorder seems to be especially common in Asian populations. In contrast, the hereditary forms of hypokalemic periodic paralysis have a roughly equal M:F ratio, have a younger age of onset (<20 years of age), is most common in Caucasians, and the hypokalemic episodes tend to last longer. It is inherited in an autosomal dominant fashion and thus far mutations have been identified in the genes CACNA1S (a calcium channel subunit expressed in skeletal muscle), SCN4A (a skeletal muscle Na channel), and KCNE3 (a skeletal muscle K channel). 1. pseudohyponatremia: there is a massive protein load in an IVIG infusion (in the form of immunoglobulins), and as a result the protein phase of serum is higher. Depending on the type of laboratory test used to determine serum sodium concentration, the Na may or may not be read as low. 2. hypertonic hyponatremia: most IVIG preparations contain significant amounts of sucrose or maltose--whose presence is necessary to prevent aggregation of Ig molecules--and the resultant increase in serum osmolality will result in the efflux of water out of cells into the extracellular fluid compartment, thereby lowering serum sodium. The mechanism is similar to hyperglycemic hyponatremia or mannitol-induced hyponatremia. 3. true dilutional hyponatremia: the total volume of the IVIG infusion may be significant enough to cause dilutational hyponatremia, in large part because the high oncotic pressure allows for the solute to be retained intravascularly for prolonged periods of time. 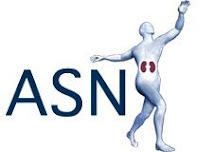 There is an insightful article in this month's C-JASN entitled "Misapplications of Commonly-Used Kidney Equations: Renal Physiology in Practice" by Nguyen et al which is kind of fun to read. One of the clinical vignettes they present involves the use of the FENa calculation by a medical student to erroneously conclude that a CKD patient had ATN. I see the FENa quite commonly misused even by housestaff, so the discussion is pertinent. To summarize the case: a woman with CKD and a baseline creatinine of 1.7mg/dL presents to the emergency room with a three day history of diarrhea. She had acute-on-chronic renal failure with a Cr of now 3.4 mg/dL, and despite the fact that her clinical exam was consistent with hypovolemia (orthostatic vital signs, skin tenting), she was erroneously diagnosed with ATN because her FENa was calculated to be 1.45%--above the magical cutoff of 1% we all learn as young internists. Here's why it's incorrect in this instance. Recall that FENa is simply the ratio of the Na excreted divided by the Na filtered. For the same amount of daily dietary Na intake, A CKD patient will have a much higher FENa than a patient with normal kidneys, as in order to achieve a steady-state they will have to excrete the same amount of Na but using a much lower GFR. The authors calculate that this patient's resting FENa on the typical American diet would be about 2.4%. Thus, the measured FENa of 1.45% probably represents an appropriate Na retention response to volume depletion. The FENa is most useful in the setting of oliguric acute kidney injury, and in the absence of metabolic alkalosis, significant CKD, or diuretic use. A value <1%>1% suggests ATN. In last week's New England Journal of Medicine there was a cool article by Rees et al describing a unique pair matching strategy for kidney transplants in which an ongoing chain of kidney transplantations--beginning with a single altruistic donor--has led to the successful completion of 10 kidney transplants thus far. To explain how it works, first one needs to understand how typical pair matching programs work: say you want to donate your kidney to your brother, but the cross-match is positive. A matching program will pair you up with a compatile donor-recipient pair with the same problem. You can donate your kidney to the non-related recipient, and the recipient's relative (or friend) will donate their kidney to your brother. This works much of the time, but there are logistical difficulties in that both transplants must be performed simultaneously. If not, there is the potential for catastrophe: what if you donate your kidney first, but the other donor reneges once his family member is safely out of surgery? Not only does your brother not get the transplant, but any "bargaining power" he might have by having access to a potential donor is finished. Although it seems unusual, this has happened before. The new strategy--which the authors term a "nonsimultaneous, extended, altruistic donor" (NEAD) chain--relies on the initiating the chain with an altruistic donor. This individual wants to donate a kidney but is not seeking anything in return. The altruistic kidney is given to a recipient who has a willing-but-non-matching donor. After receiving the altruistic kidney, the willing-but-non-matching donor donates his kidney to an unrelated recipient. This continues in a "pay-it-forward" type arrangement indefinitely. While there is still the possibility for pulling out of the deal and stopping the chain at any point, the consequences of doing so are less dire in the sense that nobody is really getting screwed by losing their donor kidney. Furthermore, in this article the first 10 individuals in the chain (which is still ongoing) have not reneged on their commitment to donate a kidney following the receipt of a transplant of their loved one. 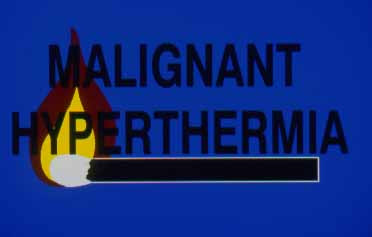 Malignant hyperthermia is a rare but potentially life-threatening genetically-inherited condition in which severe autonomic instability is induced by exposure to various anesthetics. The most common offending agents are halothane (and any other halogenated anesthetic compound) and succinylcholine, and usually the manifestations of fever, hypertension, tachycardia, muscle rigidity, and hypercapnia occur within an hour of anesthetic exposure. Its relevance to nephrologists is that (a) rhabdomyolysis-induced renal failure may result as a consequence, and (b) the pathophysiology is mediated by the electrolyte calcium. In most cases, malignant hyperthermia is inherited in an autosomal dominant fashion due to mutations in the ryanodine receptor. This is a calcium channel found within the sarcoplasmic reticulum of of muscle cells which, when activated, leads to enhanced intracellular calcium release into the cytoplasm. The end result of all the reported mutations in the ryanodine receptor is to lower the activation threshold and increase the deactivation threshold of the channel--thereby leading to unregulated intracellular calcium release. 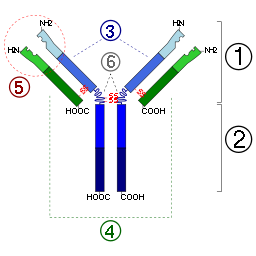 The process of recompartmentalizing the excess intracellular Ca is a process which is highly ATP-dependent, and the depletion of ATP from myocytes leads to muscle cell damage, leaking myoglobin (as well as K, PO4, and CK) into the circulation. The condition is diagnosed on clinical grounds, but screening may be warranted in an individual who will require general anesthesia who has an affected family member. Screening can take the form of either sequencing the full ryanodine receptor gene, or by performing something called the "caffeine-halothane contracture test", in which a muscle biopsy is taken and then bathed in solutions of caffeine or halothane, and observing the muscle contraction response. Treatment of malignant hyperthermia, aside from supportive care, requires the use of dantrolene--a muscle relaxant which inhibits the ryanodine receptor and prevents the increase in intracellular calcium. The introduction of dantrolene has dramatically reduced the mortality of malignant hyperthermia from over 80% in the 1960s to less than 10%. For any 2nd year renal fellows out there reading this: your first chance to take the ABIM Nephrology Boards is coming up this November 18, 2009. 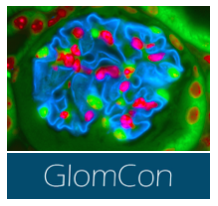 You can sign up by May 1st for the amazingly low-price of $1,905.00. This is the best deal in medicine. Yes, I am being sarcastic. At least it is only one day and on the computer now. 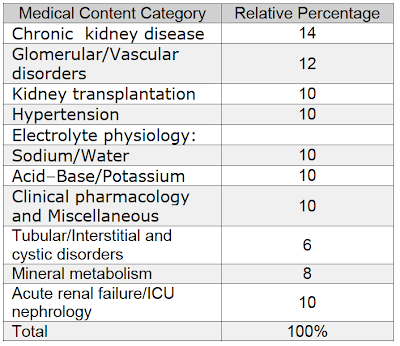 On the Nephrology Boards website, they list the relative percentage of questions from each category. You can see the breakdown in even more painstaking detail on their "Exam Blueprint", e.g., how many questions will address hyponatremia versus hypernatremia, etc. etc. 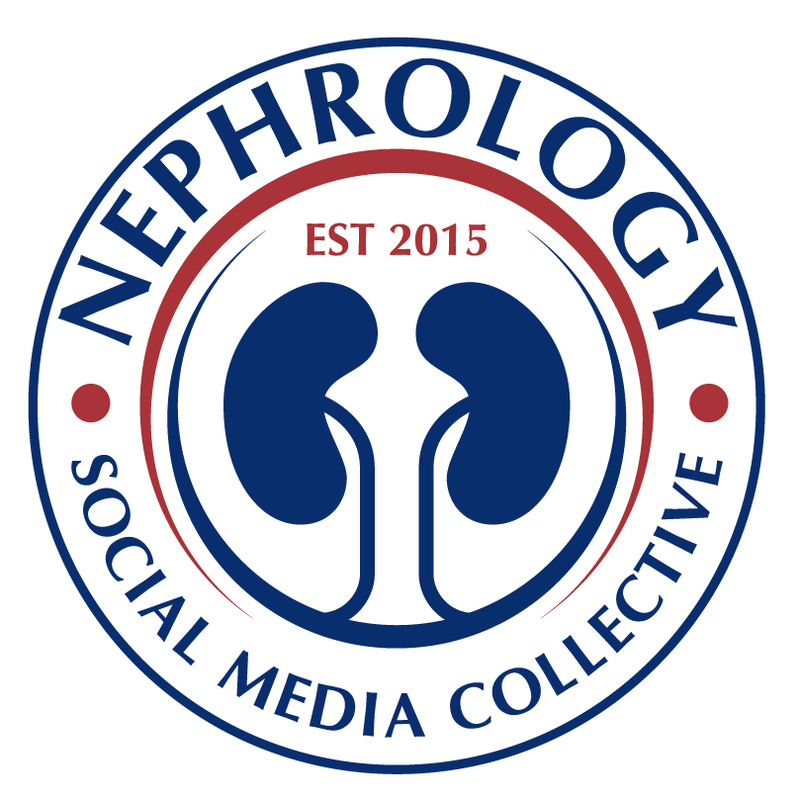 I'm going to try my best to include posts on this blog that conceivably might be tested on the Nephrology boards (as I am signed up to take them in November myself). Our fellowship program is also participating for the first time in the ASN's In-Training Exam, on April 22-23rd. As I understand it, this will offer fellows the ability for fellows to take a practice exam under similar conditions and also give our program an idea of what areas need improvement. In 1939, Irwin Page performed an experiment in a dog model in which one kidney was wrapped in cellophane. The resultant external compression on the kidney resulted in elevated renin-angiotensin-aldosterone levels and severe hypertension. Over time, a loss of renal function occurs due to some degree of renal ischemia and constrictive perinephritis. Because there are high levels of circulating aldosterone, renal K-wasting and hypokalemia can also be present. Now, "Page Kidney" refers to any condition in which external compression of the kidney leads to activation of the renin-angiotensin-aldosterone system resulting in hypertension. 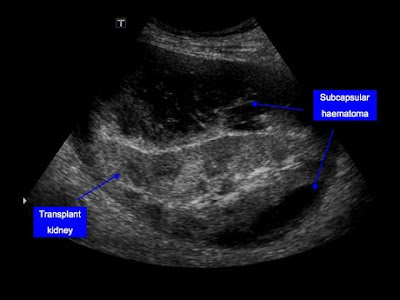 The most common cause of a Page kidney is a subcapsular hematoma, which can result from blunt trauma or iatrogenesis, such as a renal biopsy or ESWL for kidney stones. Rarely, large cysts or tumors can also cause Page kidney. In recent years, there has been the suggestion that thiazide diuretics--long considered a front-line therapy for hypertension based on the ALLHAT study and others--may increase the risk of diabetes. Subsequent retrospective analysis of other major historical cohorts by Eric Taylor and others--such as the Nurse's Health Study and Health Professionals Follow-Up Study--seem to indicate that the relative risk of being diagnosed with incident diabetes is somewhere between 1.2 to 1.46 in individuals taking thiazides compared to those not taking thiazides with similar baseline characteristics. What do we think about this data and should it change our clinical practice of prescribing thiazide monotherapy to an individual recently diagnosed with hypertension? Also, why should thiazides result in hyperglycemia? Interestingly, there is data to suggest that the thiazide-induced hyperglycemia effect is a potassium effect: a 2006 review of >50 trials in which thiazides were compared to other blood pressure-lowering medications or placebo, it was found that for every 1 mEq/L decrease in K, there is a 10 mg/dL increase in glucose. Furthermore, normalization of serum potassium in patients on thiazides (with potassium supplements) will lower the serum glucose. From a molecular level, this is perhaps explained by the fact that the pancreatic b-cell secretion of insulin is regulated in large part by ATP-sensitive K channels in the beta-cell membrane. Alterations in the extracellular potassium concentration to which these cells are exposed could potentially lead to decreased insulin secretion. If this mechanism is correct, it would imply that thiazide-induced hyperglycemia occurs by a different mechanism (decreased insulin secretion) than the standard type 2 diabetes (peripheral insulin resistance), and furthermore that thiazide-induced hyperglycemia is reversible with normalization of potassium levels. Thus, it is probably not necessary to remove thiazides from the list of useful first-line agents for treatment of hypertension. That being said, as a budding nephrologist I am always looking for a good reason to prescribe an ACE-inhibitor or ARB, and therefore I personally tend to add one of the RAAS blockers first given the population of clinic patients that I see. The clinical entity of refeeding syndrome was first described in U.S. POWs in Japan who had been starved for many months to years, then developed extreme electrolyte abnormalities upon the reintroduction of food. The most common electrolyte abnormalities associated with refeeding syndrome are hypophosphatemia, hypomagnesemia, and hypokalemia. The mechanism is as follows: during starvation, the secretion of insulin is decreased in response to a reduced availability of carbohydrates, and in order to survive metabolism is shifted to using fat and protein stores. During this adaptation total-body phosphate, magnesium, and potassium stores are depleted, despite maintaining relatively normal serum concentrations of these electrolytes. When suddenly exposed to ample food (and in particular carbohydrates), there is a shift to a carbohydrate-based metabolism associated with a sudden surge in insulin secretion. As we all know, insulin stimulates a rapid intracellular shift of potassium and phosphate, which can lead to a profound decrease in this electrolytes. In particular hypophosphatemia can lead to catastrophic muscle dysfunction, including respiratory collapse, as phosphate is necessary to maintain ATP stores needed for muscle contraction. Hypokalemia is well-known to result in cardiac arrhyhthmias. Patients with alcoholism, anorexia nervosa, prolonged hospitalizations, or cancer patients may also be subject to refeeding syndrome. It typically occurs within four days of refeeding. Either hyperglycemia or hypoglycemia may also be present. Careful monitoring of electrolytes in patients prone to refeeding syndrome, as well as searching for nutritional deficiencies which may go along with refeeding syndrome (e.g., thiamine deficiency) are the cornerstones of preventing this potentially dangerous complication. One of the admittedly rare causes of hyponatremia is beer potomania--the excessive consumption of beer in the absence of much food. How does beer potomania work? 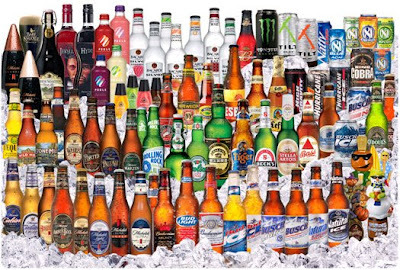 Beer has a very low content of sodium and protein--and if an individual subsists solely on beer they have a very limited solute intake. This is important because the limit on how much free water excretion can be achieved in a day is dependent on urine osmolality (urine flow rate = rate of solute excretion / urine osmolality). For an individual drinking predominantly beer, they are taking in only about 300mosm of solute per day, which is then eliminated in the urine. This puts a cap of only about 4-5 Liters of electrolyte-free water that can be excreted in a day. Thus, if an individual drinks more than 4-5 Liters of beer in a day, in the absence of additional solute, they will become hyponatremic. On top of this mechanism, beer drinkers may also have non-osmotic secretion of ADH as a result of volume depletion from chronic GI losses or vomiting. This can result in profoundly low serum sodium levels and all the neurologic complications which go along with it. The same general mechanisms (low solute intake, high fluid intake) are also at play in elderly women eating a "tea and toast" diet. The most recent issue of NephSAP ("Fluids, Electrolytes, and Acid-Base Disturbances") features a mini-review describing the role of the kinase SGK1 in the regulation of various nephrology-related disorders, such as salt-sensitive hypertension, metabolic syndrome, and renal fibrosis. How does it work? SGK1 stands for "serum and glucocorticoid-inducible kinase 1", and it appears to regulate a number of key ion transport mechanisms within the nephron. 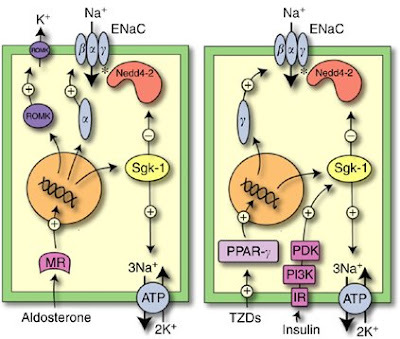 Of particular relevance is the role of SGK1 in regulating sodium uptake in the collecting duct, where SGK1 enhances the activity of ENac by several mechanisms, including direct phosphorylation of the ENac channel while simultaneously inhibiting the kinase Nedd 4-2, which in the absence of SGK1 ubiquitinates and degrades ENac. How does this relate to human disease? It turns out that there is a common polymorphism within the SGK1 gene, present in 2-3% of the Caucasian population and about 10% of the African-American population, which predisposes to the development of hypertension in the setting of hyperinsulinemia. Carriers of this polymorphism are also prone to develop an elevated BMI and thus this appears to be a key gene regulating metabolic syndrome. Perhaps drugs targeting SGK1 will be someday useful in the treatment of metabolic syndrome or regulating distal salt handling. Are ESRD patients "protected" from the arrhythmogenic effects of hyperkalemia if they are chronically exposed to elevated potassium levels? I'm not sure if there is a clear answer to this question, but it is certainly a relevant question. What do you do with the ESRD patient who comes into the Emergency Room at 7pm after skipping dialysis who has a K of 6.3? On the one hand, dialysis is a sure-fire way to rapidly lower the K and prevent any cardiac complication, which have the potential to be lethal. On the other hand, calling in the dialysis nurse and fellow uses valuable resources, and there is a belief by some that individuals who "live at a potassium in the 5's & 6's" are protected from the negative effects of hyperkalemia. What does the data show? There certainly appears to be some degree of renal adaptation to hyperkalemia in chronic kidney disease. 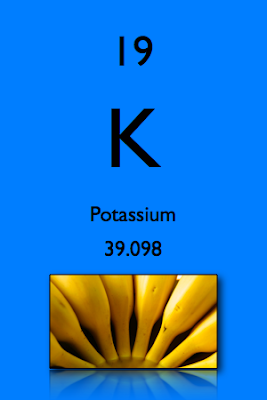 Early animal studies in which rats were exposed to varying degrees of infused potassium concentrations demonstrate that hyperkalemia dramatically regulates the degree of potassium secretion, primarily via aldosterone-mediated mechanism in the collecting duct. In addition, this 2002 Kidney International review argues that the hyperkalemia seen in CKD is an adaptive, physiologic response, reflecting a new steady state in which extracellular K rises to the level needed to stimulate K excretion so that it matches intake. There is less data as to what adaptive mechanisms are active in the complete absence of renal function, and furthermore, it's hard to know whether or not such adaptations to hyperkalemia would be operative in many ESRD patients where the K fluctuates dramatically with regards to pre- and post-K levels. One might expect different ion channels in the myocardium to be up/downregulated in order to guard against the cardiac effects of hyperkalemia, or perhaps key K transporters in skeletal muscle are upregulated to maintain the plasma K concentration within the appropriate range. If anybody knows of other relevant studies looking at adaptations to hyperkalemia, let me know. At the risk of offending community hospitals out there...I present to you "Outside Hospital", a video I helped make during my residency in Internal Medicine parodying some of the outside hospitals from which we used to receive patient transfers from occasionally...it's all in good fun, and the first bit actually has a reference to contrast nephropathy, so I'm still on-topic. BTW, I'm the guy in the old man wig. Enjoy & have a great weekend. A recent paper in AJKD by Patel et al describes a curious but well-documented phenomenon: the finding that patients with CKD who are hospitalized with acute coronary syndrome (ACS) are less likely to receive therapies known to be beneficial for its treatment. This is ironic in the sense that, as we all know from prior experience, the subset of ACS patients with CKD tend to do very poorly as a whole from a cardiovascular standpoint, and one would imagine that this is a population in whom aggressive therapy could be very effective in reducing mortality. This paper begins to explore some of the reasons for this underuse, which includes a decreased use of aspirin, Plavix, GP2b/3a inhibitors, and heparin in the acute setting as well as decreased prescriptions for statins or ACE-inhibitors, in patients with lower GFRs diagnosed with an NSTEMI. Only beta-blockers were found to be prescribed at relatively constant rates independent of baseline renal function. Some the reasons for this are understandable. For example, GP2b/3a inhibitors have a higher risk of bleeding in patients with reduced GFR: the risk of major bleeding has been found to be about 1.5 times higher in patients a GFR between 30-60 mL/min and about 2.5 times higher in patients with a GFR less than 30 mL/min. Recent review in the latest issue of Nature Clinical Practice Nephrology entitled "Skin problems in chronic kidney disease." They tackle the usual suspects (calciphylaxis, nephrogenic systemic fibrosis) as well as some lesser-known dermatologic conditions which appear with a higher prevalence in dialysis populations, such as porphyria cutanea tarda and acquired perforating dermatosis. Uremic pruritis is less common today than it once was--presumably because underdialysis is less common. However, it is still present in varying degrees to up to 52% of adult dialysis patients according to the DOPPS study. Itching tends to be worse at night but also can occur with dialysis. The pathophysiology is poorly understood and a number of potential mechanisms have been proposed to acccount for uremic pruritis. One theory posits that pruritis is part of an immune-mediate systemic inflammatory illness. In support of this idea, several therapies known effective in treating uremic pruritis--such as UV therapy, thalidomide, or topical tacrolimus--are all known to target the immune system. Furthermore, individuals with uremic pruritis are more likely to have elevated levels of non-specific markers of inflammation such as CRP. Another hypothesis suggests that alterations in the ratios of endogenous opioids that tend to occur in dialysis patients mediates an abnormal activaton of dermal opioid receptors; this provides the rationale for using drugs such as naltrexone for treatment of uremic pruritis. Other factors suggested to play a role in uremic pruritis include secondary hyperparathyroidism, abnormal histamine release, and dry skin. Therapy for uremic pruritis should include ensuring that patients are receiving adequate dialysis, potentially using high-flux dialyzers, topical treatments such as capsaicin, tacrolimus, or simple emollients, UV therapy, gabapentin, or medications which target the opioid receptor. An unusual cause of ascites is urinary ascites: this occurs when there is rupture of either the ureter or bladder, leading to leakage of urine into the peritoneal space. In adults, this is almost always due to either blunt trauma to the abdomen, or iatrogenesis, such as nicking the ureter during an abdominal surgery. While not a common diagnosis to make, urinary ascites should be considered after more usual causes of ascites, such as cirrhosis or nephrotic syndrome, have been excluded. An ascites fluid creatinine:serum creatinine ratio >1.0 is highly suggestive of an intraperitoneal urine leak. The peritoneal fluid is typically bland with few WBCs, unlike the situation in spontaneous bacterial peritonitis. Creatinine is filtered some across the peritoneal membrane (in fact, this is actually used for versions of the peritoneal equilibration test, used in the titration of dialysis dosing for patients on PD), so it is normal to have some creatinine in the peritoneal fluid. But if the peritoneal creatinine is really high relative to the serum creatinine then it means the urine is draining directly into the peritoneal space. Some type of abdominal imaging (ultrasound, CT scan) is often helpful in terms of diagnosing where along the collecting system a rupture has occurred. Just like there's no "I" in team...there's no "N" in ATN. I heard this expression at our Renal Grand Rounds today featuring pathologist Isaac Stillman at nearby Beth Israel Hospital. It's not completely accurate, as in many cases of ATN, one can often see patchy loss of tubular epithelial cells with resultant gaps and exposure of denuded basement membrane--though recent evidence points to the fact that this is can be the result of either necrosis or apoptosis, a more controlled version of cell death. 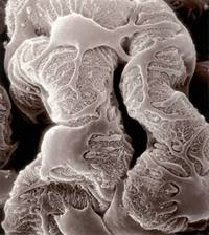 But it is true that, despite its name, frank necrosis of renal tubular cells on biopsy is actually fairly rare. ATN remains predominantly a clinical diagnosis, and there are several instances in the literature of patients with a clear diagnosis of ATN who, on renal biopsy, demonstrate a seemingly normal renal histology. Most likely, there is tubular injury, but we just don't have the sensitivity to detect it. This is supported by recent animal studies identifying various renal biomarkers which are elevated in the urine of virtually all mice subjected to AKI despite apparently normal tubular histology. When there is necrosis in ATN, it is often most prominent in the outer medulla, where the S3 segment of the proximal tubule joins the medullary thick ascending limb of the loop of Henle, as this is a region already subjected to relative hypoxia. Heavy metal-induced ATN is a special subset of ATN known to demonstrate especially high levels of necrosis than the more common forms of ATN we typically see. Fish Oil for IgA Nephropathy? Unfortunately, other than blockade of the renin-angiotensin system via ACE-inhibitors and angiotensin receptor blockers, there are not a lot of evidence-based treatment options for IgA Nephropathy. One other potential addition to the therapeutic regimen for IgA Nephropathy--depending on how you interpret the data--is fish oil. Omega-3 fish oil consists of essential fatty acids that cannot be made endogenously but rather must be obtained through diet. These fatty acids include linoleic acid, linolenic acid, EPA (eicosapenaenoic acid) and DHA (docosahexnenoic acid). Over the past few decades there have been multiple attempts to see if omega-3 fatty acids might be beneficial in the treatment of IgA Nephropathy, under the rationale that these fatty acids are known to inhibit the production of cytokines and eicosanoids which are felt to be responsible for glomerular injury. However, the data as to their efficacy is mixed. The strongest piece of evidence that fish oil is useful in the treatment of IgA Nephropathy comes from the Mayo Clinic-initiated study published in the NEJM in 1994 by Donadio et al. Briefly, this study looked at over 100 patients with IgA Nephropathy and persistent proteinuria, randomizing patients to receive either fish oil or an olive-oil placebo. Over a period of two years, only 6% of patients in the fish oil group displayed an increase of 50% or more in the serum creatinine, whereas 33% of those in the placebo-treated group suffered an increase of 50% or more in the serum creatinine. Subsequent long-term follow-up studies seem to support a permanent benefit in the fish-oil group. While this is encouraging, other RCTs, such as that performed by the Southwest Pediatric Nephrology Study Group, demonstrated an apparent worsening of renal function in a fish oil-treated group compared to a group treated with either steroids or placebo, though this study was not as large as the Mayo Study. Both studies suffer from the fact that neither group was uniformly treated with ACE-I/ARB, which today would be considered standard-of-care. A meta-analysis in 1997 concluded that if there is a beneficial of fish oil in IgA Nephropathy, its effect is probably mild. If you are going to use fish oil for the treatment of IgA Nephropathy--and in my young opinion it's probably not a bad idea given the lack of available treatments and the apparently minimal downside to using fish oil--there are a couple of things to keep in mind. First, make sure you prescribe a large enough dose. Most of the clinical trials showing a benefit to fish oil have used doses of between 4-12 grams per day, dividing into two or three doses. 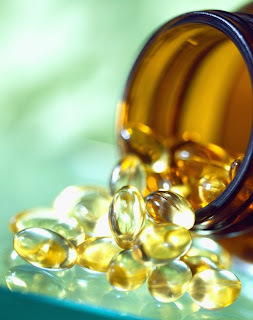 Second, there is apparently a significant variability between preparations of omega-3-fatty acids in terms of the ratio of fatty acids; there has also been some concern that some over-the-counter preparations may contain trace heavy metals which, if consumed in megadoses over a prolonged period of time, might cause negative health consequences. This has led some to recommend the use of a prescription-only form of omega-3-fatty acids (and also the formulation used in the Mayo study), originally called Omacor but now being marked under the name Lovaza. Up To Date recommends that "fish oil can be tried in addition to ACE inhibitors or ARBs in patients with protein excretion >500 to 1000 mg/day, a gradual reduction in GFR, and mild to moderate histologic lesions", but it is not considered essential. Did you know that the inventor of the popular sports drink "Gatorade" was a Nephrologist? The 2007 NY Times obituary of J. Robert Cade, the University of Florida nephrologist who concocted Gatorade, describes the story of the beginning of the now billion-dollar sports drink industry. Ironically, Dr. Cade passed away at the age of 80 of kidney failure. As the story goes, football coaches of the Florida Gators football team were perplexed by the fact that their players were unable to urinate after football practices in the humid Florida swampy summers. Enter J. Robert Cade, who noted that this was a simple response to hypovolemia, and intended to correct the situation by having the players drink a solution of sodium, potassium, glucose and sucrose. 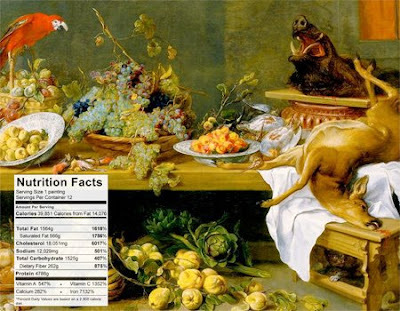 The initial versions were substantially more salty than current versions, and as legend has it, it was not until Cade's wife came up with the idea of adding lemon to the stuff (and also, probably reducing the salt concentration) that it started to catch on. 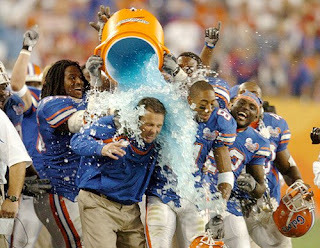 Also interesting, Cade initially offered the University of Florida the opportunity to purchase the patent rights--they initially declined, and once the sales of Gatorade began increasing, they sued Cade and there was a protracted legal battle for the rights to the sports drink. In its current form, according to the Gatorade FAQ web page, Gatorade is stated as being slightly hyperosmolar compared to blood. However most of the osmolarity here is being provided by sugar, and once it is metabolized, it is in fact in essence a hypoosmolar solution, as Gatorade falls into FDA's category of "low-sodium" products. This is why ingestion of large quantities of Gatorade during a marathon, for instance, may be associated with the development of dangerous hyponatremia. Oral rehydration solution--which has been attributed in decreasing worldwide death rates from diarrhea in developing countries by millions--has a much higher sodium content, 75 mmol/L according to WHO Guidelines. In contrast, Gatorade & other sports drinks have a typical NaCl concentration of between 10-25 mmol/L. In addition, the concentration of KCl is much lower in sports drinks (3-5 mmol/L) compared to that of oral rehydration solution (20 mmol/L) by WHO guidelines. This study was a randomized controlled trial looking at the treatment of adult patients with viral gastroenteritis in the U.S. with either Gatorade, Pedialyte, or oral rehydration solution. Patients in all three groups showed similar rates of recovery, indicating that all three options are probably safe. However, the Gatorade group showed higher degrees of hypokalemia.